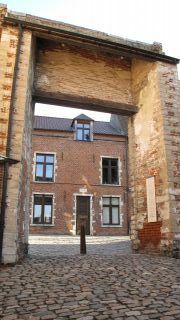 The Guesthouse is situated in the old, protected, house Sint-Jan (anno 1613). It is located just in front of the main entrance of the Great Beguinage of Leuven, which belongs to the UNESCO World Heritage since 1998. The Guesthouse has been renovated recently and has 5 luxury guestrooms.